The smartest restaurateurs know that they are not in the restaurant business—they are in the branding business. According to the Forbes 2018 World’s Most Valuable Brands list, the top five brands are Apple, Google, Microsoft, Facebook, and Amazon. However, these brands all experience a red-faced love/hate relationship with the general public. The same people swing wildly between sharp criticism of tech companies and giddiness and bliss about the cool things they do. Restaurateurs can learn from that. A restaurant brand perishes as a love/hate brand. Imagine a restaurant that people tolerate—the restaurant equivalent to the meal eaten at your desk so quickly you can’t remember how it tasted. Your brand must be a love/love brand that connects to the soul of your guests and employees. As a successful owner of a multi-unit independent restaurant group, your secret sauce is spending most of your time making your brand stronger. Keep all other activities (hint/yawn: administration) to a minimum, or delegate them. Give your brand – your greatest and most valuable asset – the attention it deserves. This public service excites, motivates, and helps guests and employees—connecting people to your brand. What’s not on this list? A “me-me-me” attitude on ownership’s part. Instead, focus on both the people you serve and the ones you choose to work with. Also not on the list: making things smaller, cutting corners, and offering discounts or BOGOs. Nobody ever passed a Chili’s Too and experienced chest-thumping excitement about lunch. 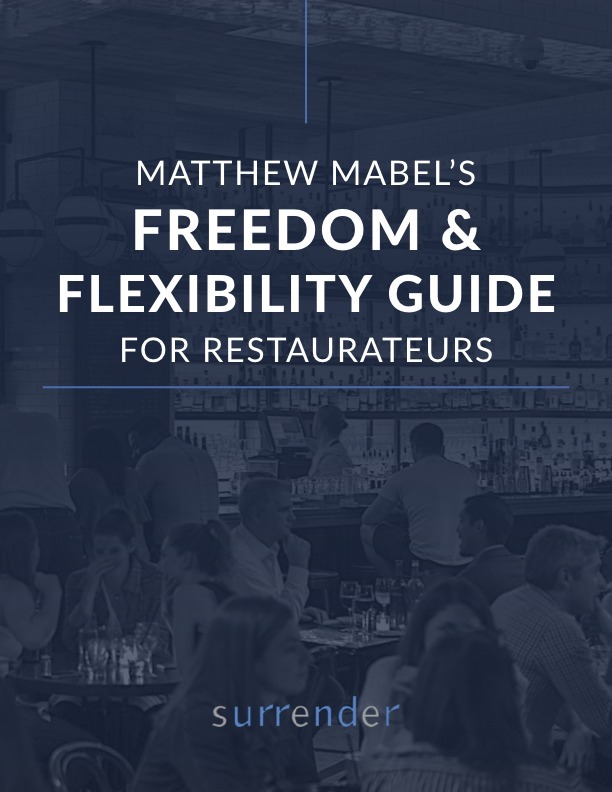 Top restaurateurs spend their time focused on strengthening their brand, which leads to more revenue, more restaurants, a maximized net worth, and the most personal freedom. Over to you. Which of the items on the checklist scream for more attention in your organization?